Ride The Woodlands Ghost Farm Tractor! Ride the tractors of the Woodlands Ghost Farm and hear the spine-tingling ghosts whizzing past you as you drive around the deserted farm! Beware of the ghostly surprises along the way and try not to get too spooked. Plus join in a sing along with the singing pumpkins. This ride will be running all day from 20th – 28th October so it’s easy to fit into your busy half-term day out. For a fun packed day come and visit us at Woodlands for the best Halloween events in Devon! 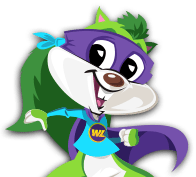 With all of the Halloween activities and the incredible rides and attractions, Woodlands Family Theme Park is the place to be this October half-term. You can take part in all the Halloween Activities and use all the indoor and outdoor areas, rides, slides and enjoy all the animal activities and falconry displays. Take a look what other events we have on during Halloween 2018 at Woodlands! There is so much to fit in one day why not take advantage of our 7 day wristband ticket or upgrade to an Annual Pass to come back again. You can make a day of it and grab a bite to eat at one of our food and drink outlets. Don’t forget to visit our Treasure Trove Gift Shop. It’s perfect for those last minute souvenirs or plan ahead for your Christmas stocking fillers.